Whether you've just moved to Arkansas, or you've lived here all your life, you must have a valid driver's license to legally operate a motor vehicle in the state. The Arkansas Driver Services (ODS), a division of the Department of Finance and Administration (DFA), handles driver's license testing and issuance. NOTE: This page provides instructions for adult drivers. Visit our Teen Drivers section if you're a minor applying for a new driver's license. If you're new to AR, you need to transfer your out-of-state license within 30 days of establishing residency. To transfer your out-of-state license for an Arkansas driver's license, visit your nearest revenue office and hand over your valid out-of-state license for a new AR driver license. Be prepared to present the same ID requirements and fees as listed below, under “Apply for Your AR Driver's License." Expired for more than 31 days OR you don't have the physical license to surrender, you must take the state's vision and written exams. Expired for more than 1 year, you must take the vision, written, AND road tests. For out-of-state transfers, there's no waiting period between the written test and driving test. NOTE: If your out-of-state license is suspended, revoked, or canceled, you must take the proper steps to restore it, as outlined by your former state. See our Suspended License section and choose your state for details. On this page, you'll learn how to apply for a new Class D driver's license in Arkansas. Class D Driver's License (Under 21):This is a regular passenger vehicle driver's license, but for drivers 18 years old to 20 years old. Class D Driver's License (Over 21): This is a regular passenger vehicle driver's license for drivers 21 years old and older. These licenses have no real functional difference, except the minor license is vertical and makes it easier for establishments to recognize your age. Learn about the state's Graduated Driver Licensing (GDL) system, including the driver permits and provisional licenses you must obtain before getting a regular driver license. Find out how to study for and pass your motorcycle exams to earn a Class M motorcycle license in Arkansas. Learn about testing for your Arkansas commercial driver's license and the different endorsements available. You're a member of the military or military spouse and hold a valid driver's license from another state. You're a student attending a school, college, or university and you have a valid out-of-state license. You're a teen and need to work through the GDL program. Your out-of-state license is suspended, revoked, or canceled. You've already had an AR license but it is suspended, revoked, or canceled, OR you have pending moving violation judgments. You've been deemed unsafe due to mental health problems or habitual alcohol or drug use. You've been found at fault for a serious traffic accident or been convicted of a serious traffic violation within the past 12 months. You cannot provide the required ID documents. See “Apply for Your AR Driver's License" below for the documents all applicants must bring. If you are eligible for a new Arkansas driver's license, read below to learn how how to apply. Where—and how—you apply depends on whether you want a basic driver’s license or an Arkansas Voluntary Enhanced Security Driver’s License. You can apply for a basic AR driver’s license at your local revenue office; you must apply at an Enhanced Security Driver’s License at an—you guessed it—Enhanced Security DL/ID Office. Show proof of legal residency (U.S. birth certificate, U.S. passport). If you’re applying for an Enhanced Security Driver’s License, you must show 2 proofs of residency. These proofs must be original, show your name, and show your physical addresses (no P.O. Box). Examples include utility bills, pay stubs, and personal property tax receipts. Provide verifiable proof of your Social Security number (e.g., Social Security card) OR sign an affidavit stating you aren't eligible for an SSN. 2 documents from the primary list. Primary list documents must include your full name and birth date (e.g., original or certified birth certificate, military ID, or INS documents). 1 document from the primary list and 1 document from the secondary list (vehicle registration, health insurance card, employment ID, etc.). Provide proof of legal presence (U.S. birth certificate, U.S. visa, military ID, etc.). Pay the $5 testing fee. You might pay a maximum of $15, depending on when you pass. 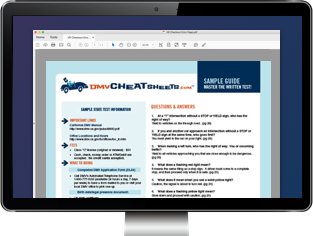 To help you pass the written test you can study the state's driver handbook. If you want to ensure passing the exam on your first try, we suggest taking an online practice test beforehand. If you fail, the Arkansas ODS might require you to wait a certain amount of time before retesting; ask your examiner for details. Once you pass your vision and written tests, you'll be issued a learner's permit. Every applicant, regardless of age, must hold a learner's permit before getting a driver's license in Arkansas. The only exception is for new residents with a valid out-of-state license (see above). You'll keep this license for a period of time determined by the examiner; generally, the time period is approximately a month. *If your proof of ID shows a different name (e.g., if your name has changed due to marriage, divorce, or court order), you must provide proof of the legal name change, such as a marriage license or divorce decree. Contact your nearest state police troop office for testing times. You do not have to make an appointment, but because testing times change, the ASP recommends calling ahead. Once you pass your driving test, you'll visit your local Arkansas ODS office to receive your physical driver's license. Until then, you still have only your learner's permit, so a licensed driver must drive you to the office. Non-citizens will apply for their new Arkansas driver's license the same way as citizens (see “ Apply for Your AR Driver's License" above), making sure to bring the correct documents to prove legal presence in the U.S. NOTE: Arkansas might allow you to drive with your valid foreign driver's license for a certain period of time before you must apply for an Arkansas driver's license. Please contact your local ODS for details.